This is Gabriela Quintero playing with Rodrigo Sanchez on the Crossroads stage of Bluesfest 2015. Their music is a curious mix of classic flamenco inspired by heavy metal. You have probably heard them without realizing as their acoustic duets have found their way on to movies such as Pirates of the Caribbean and Puss in Boots. 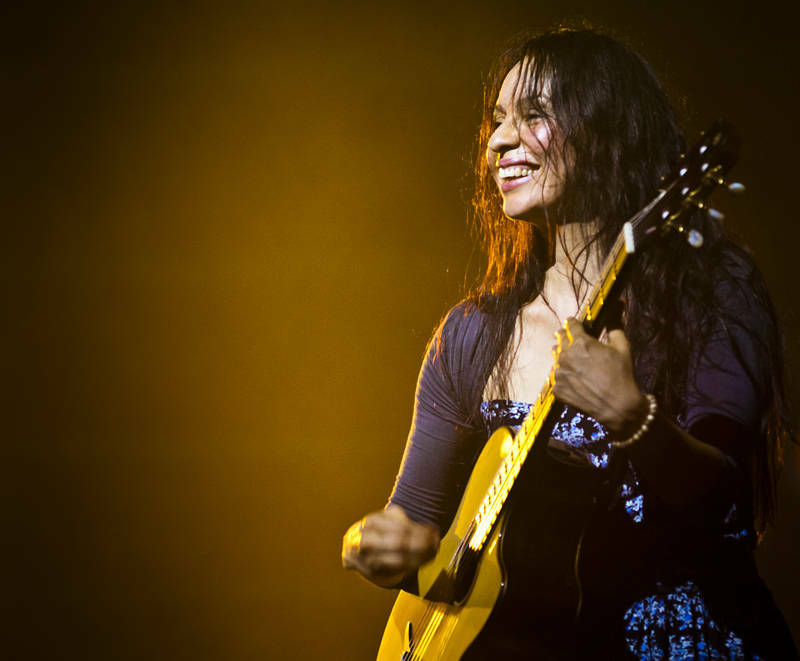 Gabriela has a percussive style of guitar playing. After breaking a string, Instead of having a guitar tech hand her a spare guitar like most bands do these instrumentalists enlisted the Bluesfest audience in a singalong to Radiohead’s Creep. It was an inspired choice of song as it took no time for everyone to join in. It was a wonderful festival moment.